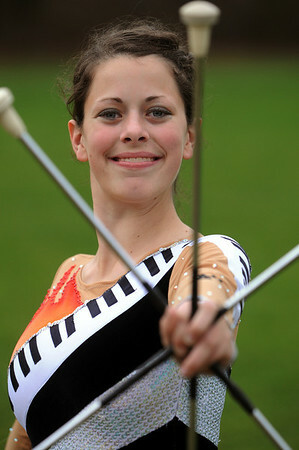 Katie Yeaton poses with her batons. She twirls flaming batons for the Danvers High Falcon Band. Photo by Ken Yuszkus/Salem News, Tuesday, November 23, 2010.